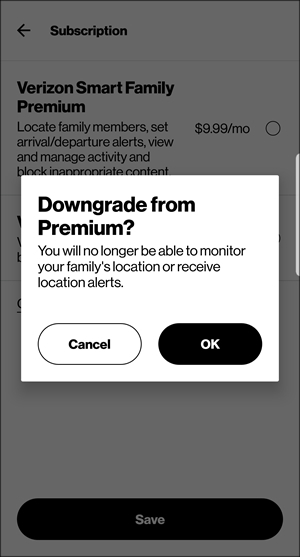 Locate family members and set arrival/departure alerts. 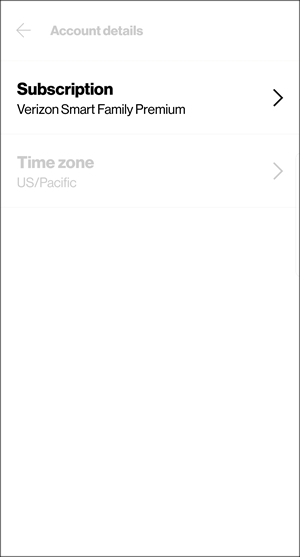 View activity (e.g., text and calls). Block inappropriate content (e.g., apps and websites). 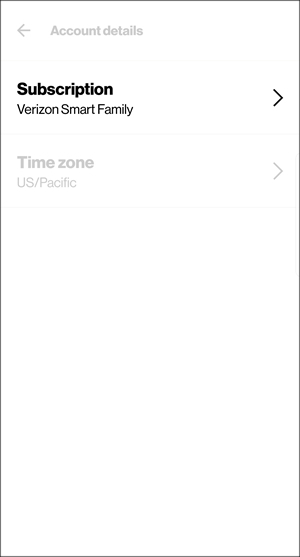 Set time restrictions and data, messaging or voice limits (i.e., usage controls). 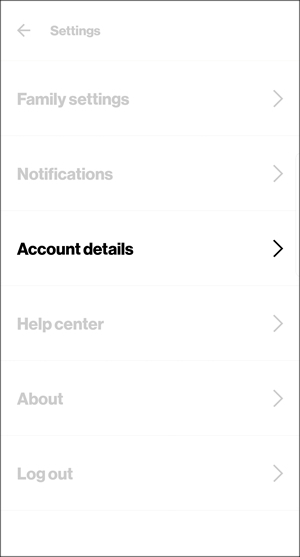 En la aplicación Smart Family para padres, tap the Settings icon (esquina superior derecha). Toca Account details (Detalles de la cuenta). 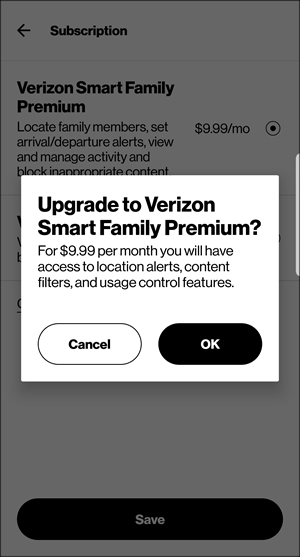 Select Verizon Smart Family Premium $9.99/mo. This option is unavailable if your account has a line on the justkids plan. 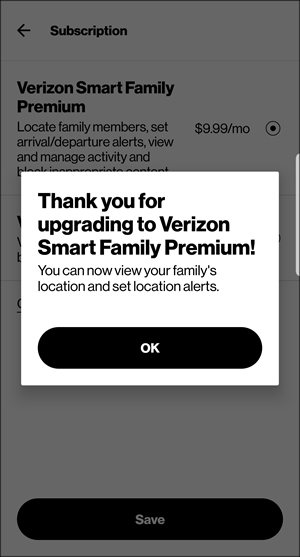 To remove your Verizon Smart Family subscription, you must first change your plan. Review the info then tap OK. 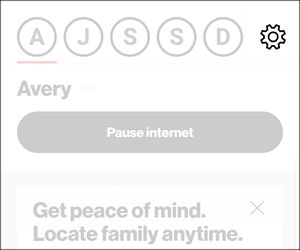 Select Verizon Smart Family $4.99/mo.